To harmonize with the new vibrations of the Earth and our surroundings, we need a healthy body and a strong nervous system, balanced and open Chakras, and a strong, bright electromagnetic field. The Heart Chakra is a seat of Love and Compassion for self and others. An opened and balanced Heart Center bestows wisdom, nobility, success, fulfilment of desires and a strong immune system. With this beautiful and omnipotent technology of Kundalini Yoga we will be raising our consciousness and vibration to live healthy, happy and holy life with an open heart, experiencing deeper connection with that center. If we are fully connected and living from our heart, we treat everyone including yourself with kindness and offer forgiveness freely. We find balance beetween our earthly desires and spiritual pursuits. We see God in All, Love motivates our daily life and all our relationships become harmonious. Kundalini Yoga and Meditation will help us to shed layers of darkness so we can discover our inner Light and enter realms of self-love and love for All. This series is going to be very powerful, deeply transformative. Sessions are open to all. No previous experience needed, just allowing yourself to experience yourself fully. 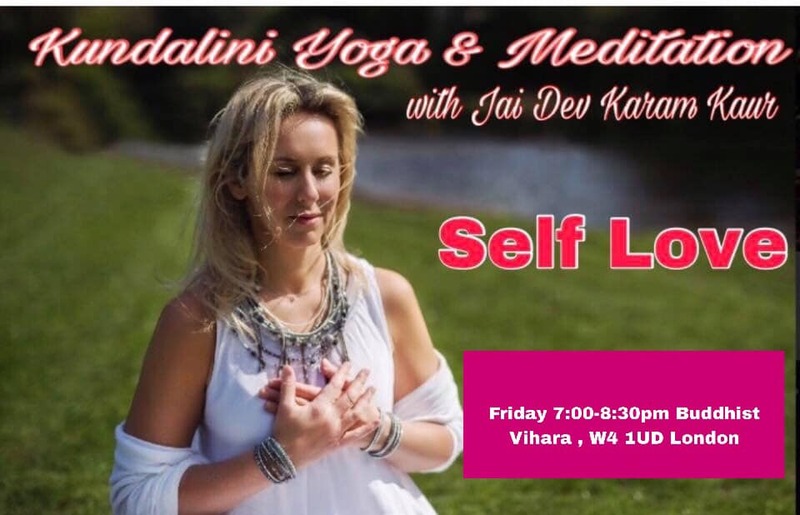 Wioletta Diamondheart Aka Jai Dev Karam Kaur is a uplifting and inspiring kundalini yoga teacher with many years of experience in a field of yoga, healing and sharing. She constantly expands her knowledge and wisdom of the teachings, so she can deliver this transformative and powerful technology to students with integrity and devotion. Her passion for people and commitment to serve others creates a high vibrational sacred space for healing and transformation to occur. Wioletta Diamondheart teaches from the heart. Her energetic, compassionate and nurturing nature blended with experience and dedication is dynamic and encouraging. Her energy and enthusiasm for teachings and life is infectious. Wioletta Diamondheart encourages her students, participants to work to their maximum and practice their dedication to divinity in a deep and profound way. Her guidance works to harness the energy of the group to support each individual to evolve, expand in consciousness and realise ones full potential. To live a life blessed with peace, health, happiness, holiness and harmony in oneness.